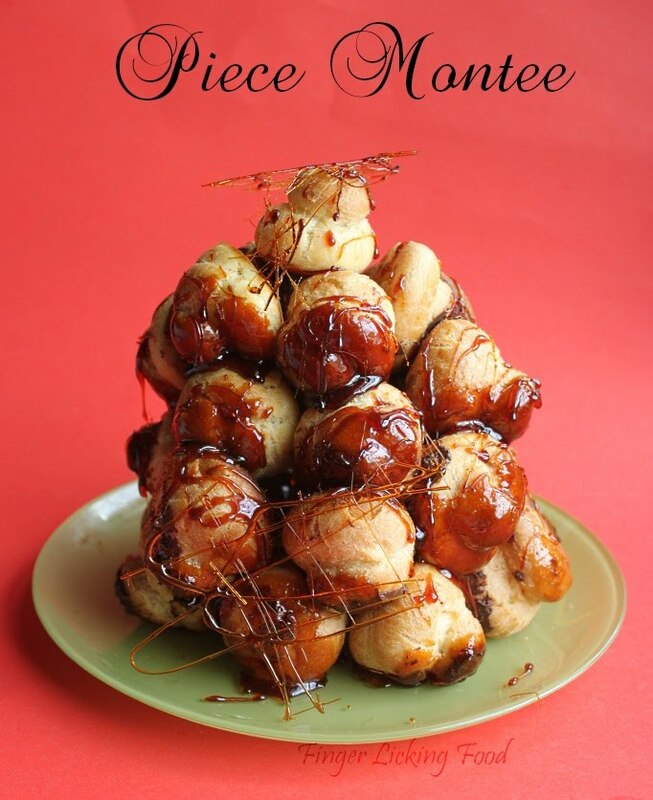 This month’s challenge recipe is for a Piece Montée, which means literally “mounted piece.” Also known as – Croquembouche (“crunch in the mouth”). The Piece Montée is the traditional wedding cake here in France. They are often served at baptisms and communions as well. 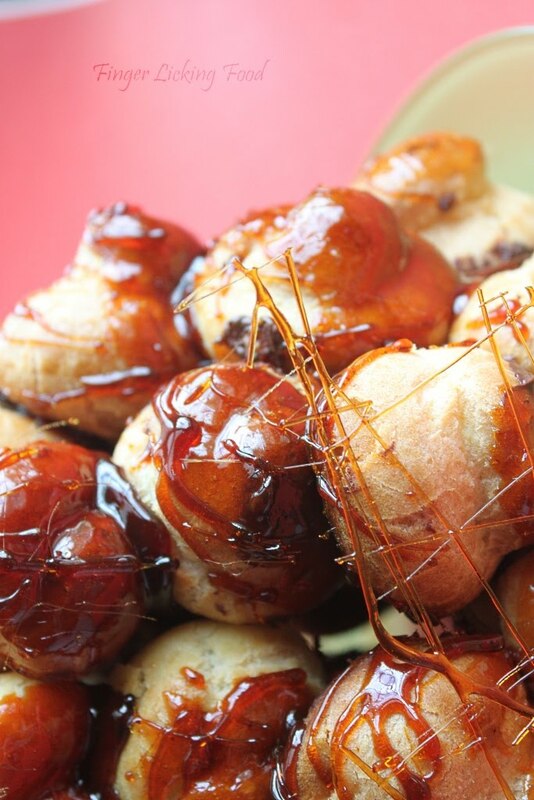 The classic piece montée is a high pyramid/cone made of profiteroles (cream-filled puff pastries) sometimes dipped in chocolate, bound with caramel, and usually decorated with threads of caramel, sugared almonds, chocolate, flowers, or ribbons. Modern pastry chefs have taken to assembling this dessert in all manners of shapes and sizes, and we were allowed to use our creativity. I had seen the Piece Montee on television several times and have been in awe. I had never imagined I would be making one in my life but the Daring Bakers had me doing it :) I had plans of getting this done way earlier in the month, but we are in the middle of moving houses and time really caught up with me. I realized only yesterday that the posting date was almost here. I had no time to experiment or plan decoration ideas, so I went with the given recipes and came up with this. 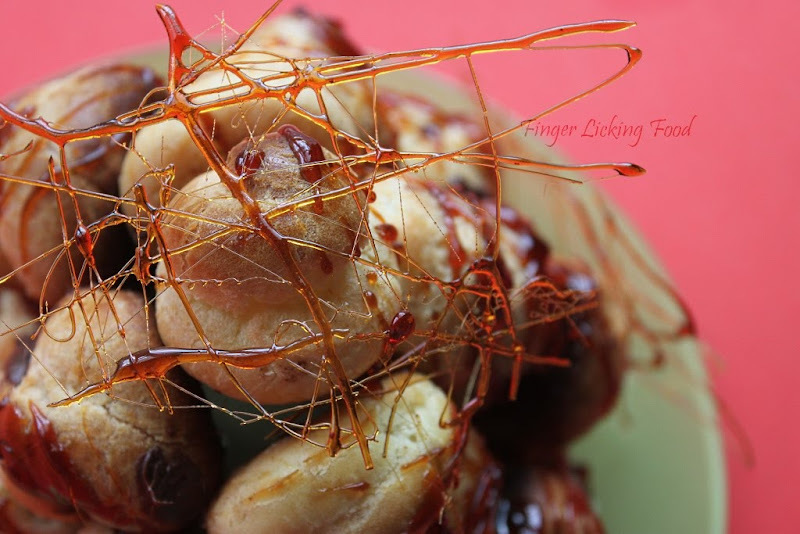 Recipe Source & Challenge Requirements: The recipe for this month’s challenge comes from Peter Kump’s Baking School in Manhattan and was originally created by famed pastry chef, Nick Malgieri. 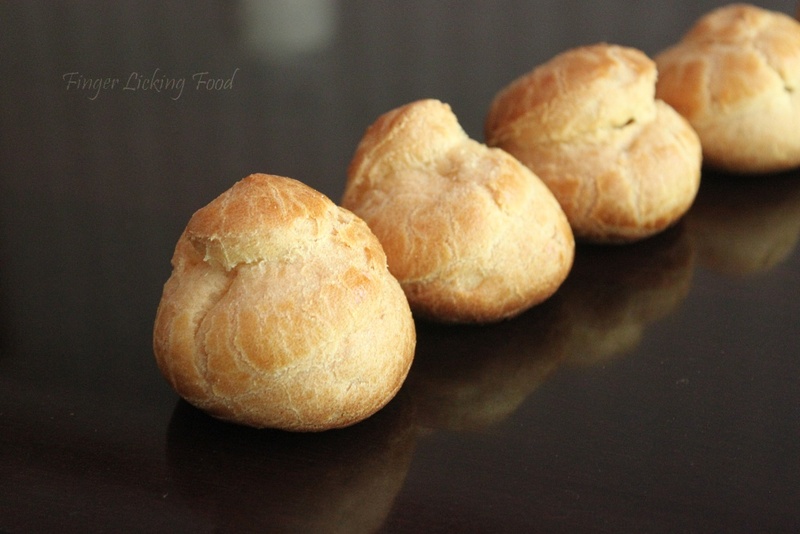 Please note you must make your own pate a choux (puff pastry) and crème patissiere. And your piece montée needs to be a mounted structure with some height to it. For my piece montee I used the vanilla crème patissiere and the hard candy glaze to build it. Return the remaining milk to boil. Pour in the hot egg mixture in a stream, continuing whisking. Continue whisking (this is important – you do not want the eggs to solidify/cook) until the cream thickens and comes to a boil. Remove from heat and beat in the butter and vanilla. Pour cream into a stainless steel/ceramic bowl. Press plastic wrap firmly against the surface. Chill immediately and until ready to use. Transfer to a bowl and stir with a wooden spoon 1 minute to cool slightly. Add 1 egg. The batter will appear loose and shiny. As you stir, the batter will become dry-looking like lightly buttered mashed potatoes. It is at this point that you will add in the next egg. Repeat until you have incorporated all the eggs. The candy glaze is a little darker, which made it slightly bitter. This actually offset the very sweet cream filling. All the textures and flavors came together beautifully. Thanks Cat for a lovely challenge! I hope to try it again with more time on hand and play with the variations. Very nicely done. Love it! love all the pictures of you delicious work. great job. Wow this looks so devine and delicious. Beautiful...love the sugar candy decorations! Nicely done Namratha! 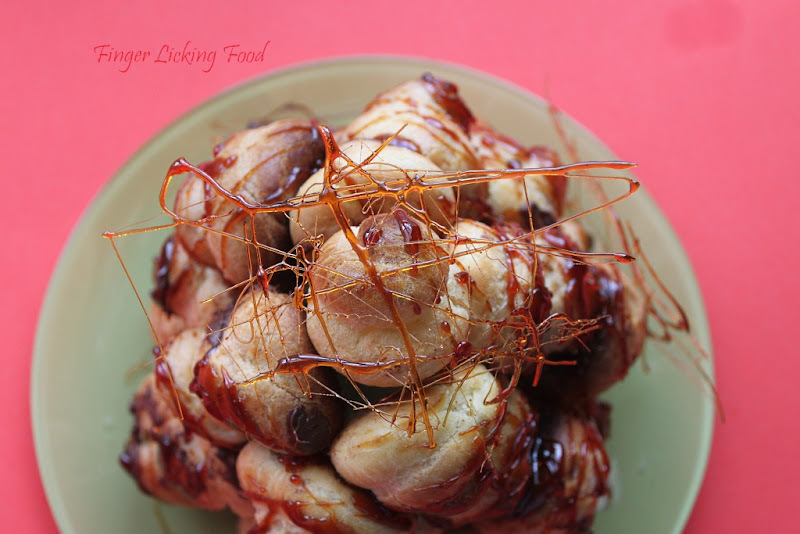 I love the caramel drizzles :) Congratulations! great job. Love the spun sugar decorations. Very well done... the classic... your decoration is very beautiful.